San Juan, La Union Councilor Miguel “Migz” Magsaysay is supporting the advoacy of Leandro Leviste, son of Senator Loren Legardo and owner of Solar Para sa Bayan. 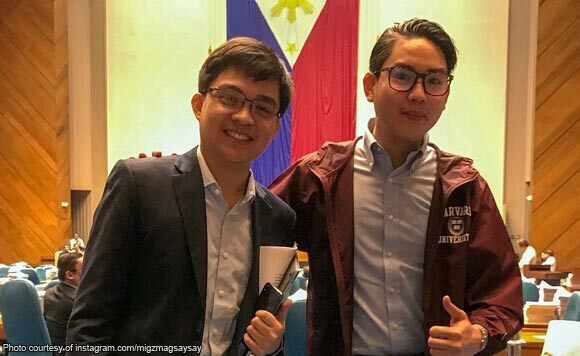 The North Luzon politiko turns out to be an Ateneo Grade School batch mate of Leviste, who is asking the House of Representatives to grant his company a 25-year franchise. “Catching up with my classmate from Ateneo Grade School, #SolarPhilippines founder Lean Legarda-Leviste over convos on solar energy. More power on your advocacy, bro! #atenistas,” said Magsaysay. Leviste may soon get the approval from the House, but several lawmakers continue to oppose his franchise request.